In theory, the Agile development process follows a standard flow: Plan > Build > Test > Release > Plan > Build > Test > Release, and so on. 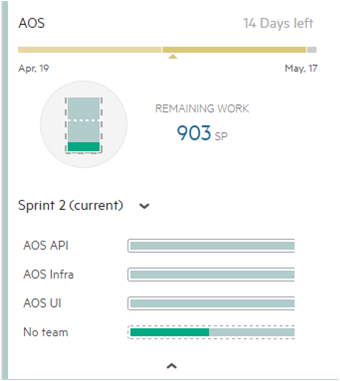 In the Team Backlog module, set limits on the number of items in progress for a phase (WIP limit) and on the number of days an item can be in a phase (card time limit). Each phase in the Board View displays continuously updated information on the number of items in progress and if any items are past their card time limit. For manual and Gherkin tests or automated tests included in a pipeline, ALM Octane Help displays the test results in the test run.